You have a list that has list-level validation. But, you need to use a customized new item or edit item form. 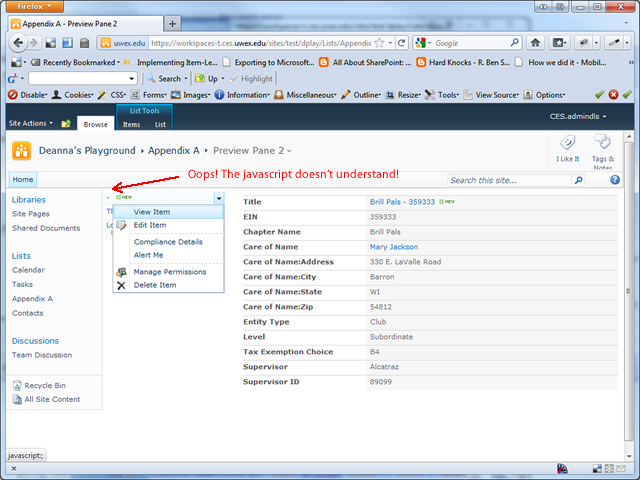 The validation routine fires on the server, but the custom new and edit forms do not show the associated error. While you could handle your validation with a workflow or a custom event receiver, there’s a simpler way. In addition to the existing list-level validation, you can add client-side validation by hooking into the PreSaveAction function. In my particular case, I had three columns that needed to equal each other. There are several moving parts involved. // Stupidly, this function can't be included in an external file, so we'll call the function here and just return another function from the external file. 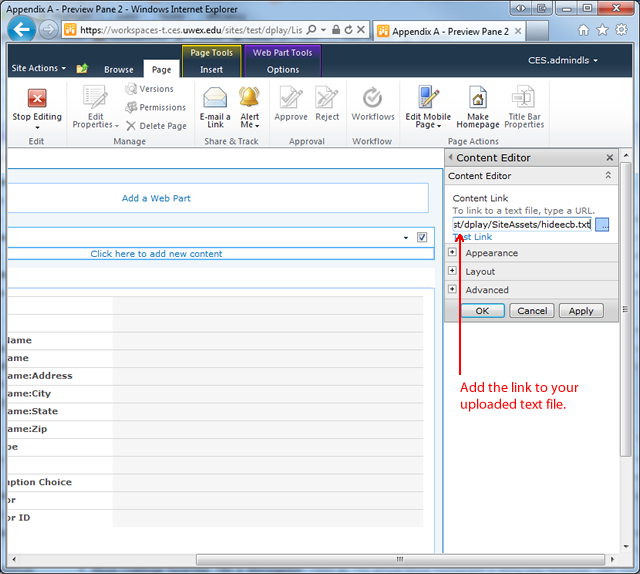 Include a Content Editor Webpart on your custom new and edit item pages which links to your external text file. When you test your page, you should see your validation working. In my TotalContacts.txt file, I do on-the-fly validation as well as the PreSaveAction validation. It’s always a good practice to let people know that there is an error before they try to submit. While you could include all your validation in the PreSaveAction function itself, you’d need to repeat your validation code on both the new and edit forms. Anytime I find myself repeating code, I try to find a way to make that piece of code reusable. By having the PreSaveAction function just return another function, we can write that code once, and use it on both the new and edit forms. Download a copy of the entire TotalContacts.txt file. 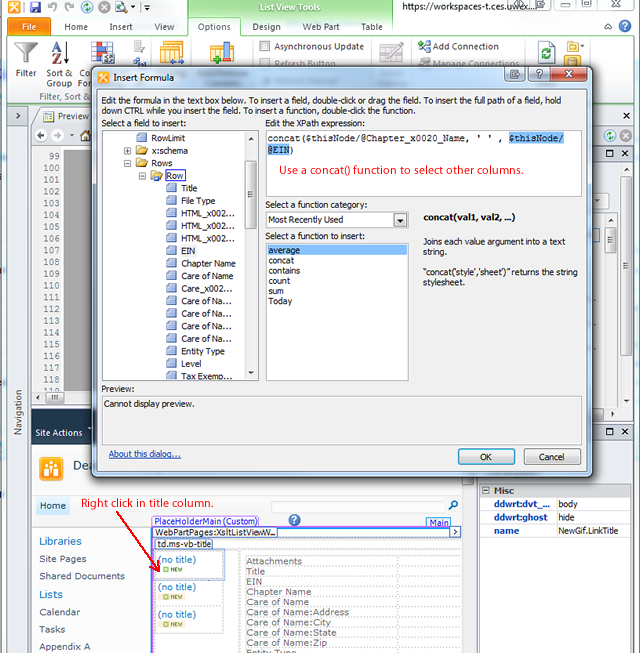 When you use InfoPath 2010 to customize the forms associated with a SharePoint 2010 list, there are a few “gotchas” when it comes to calculated columns. 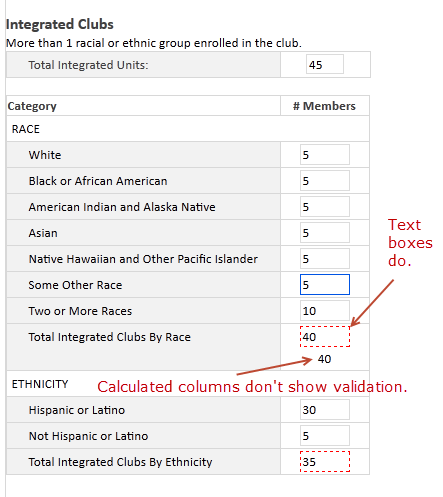 Calculated columns don’t show validation formatting and text tips when using browser-enabled forms. The Validation Formatting is Missing from Calculated Fields. This is fairly easy to fix. You can simply change the control to a text box and you’ll get your validation formatting back. But, then…. 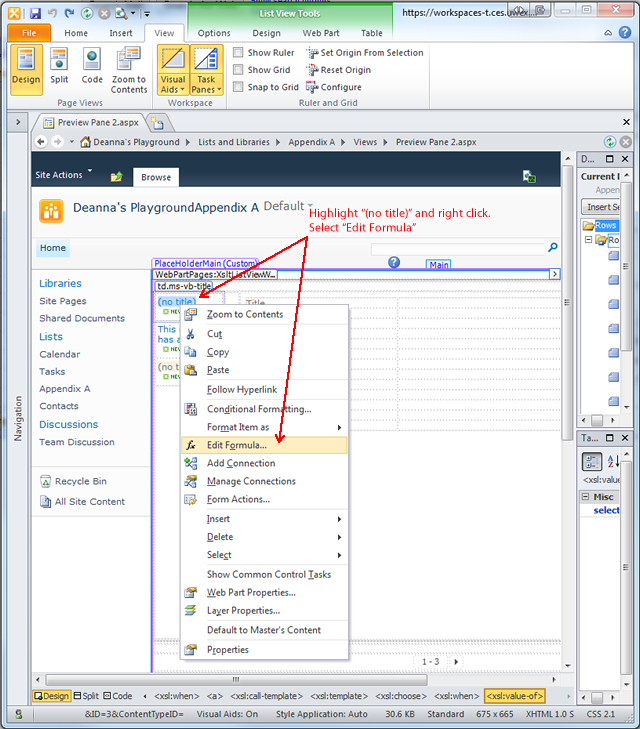 Text boxes bound to calculated columns of type “number” do not conform to the number formatting set in SharePoint. 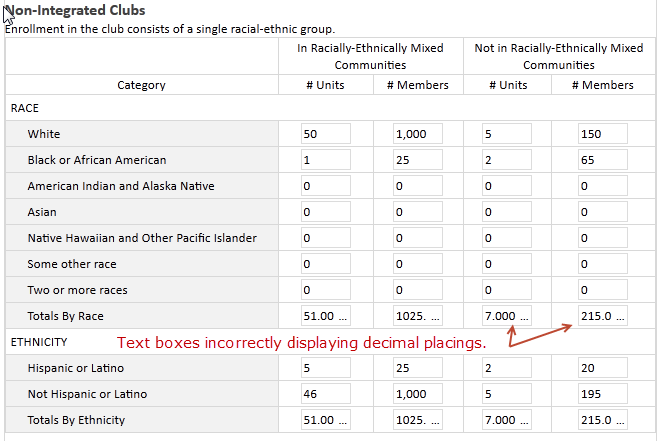 Text Boxes bound to calculated columns incorrectly showing decimal places. And, of course, you can’t control the formatting of a text box bound to a calculated column. 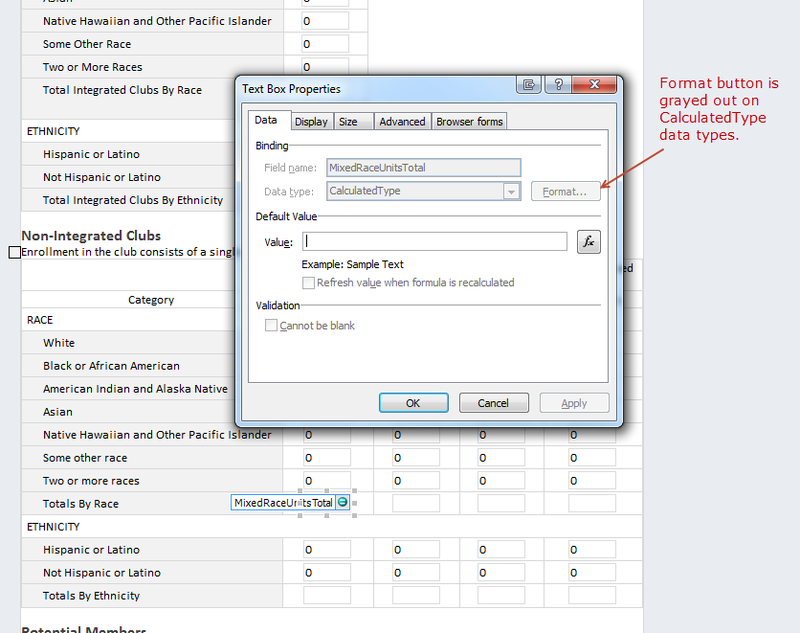 The format button is grayed out on text boxes bound to calculated columns. There are a couple of potential work-arounds. 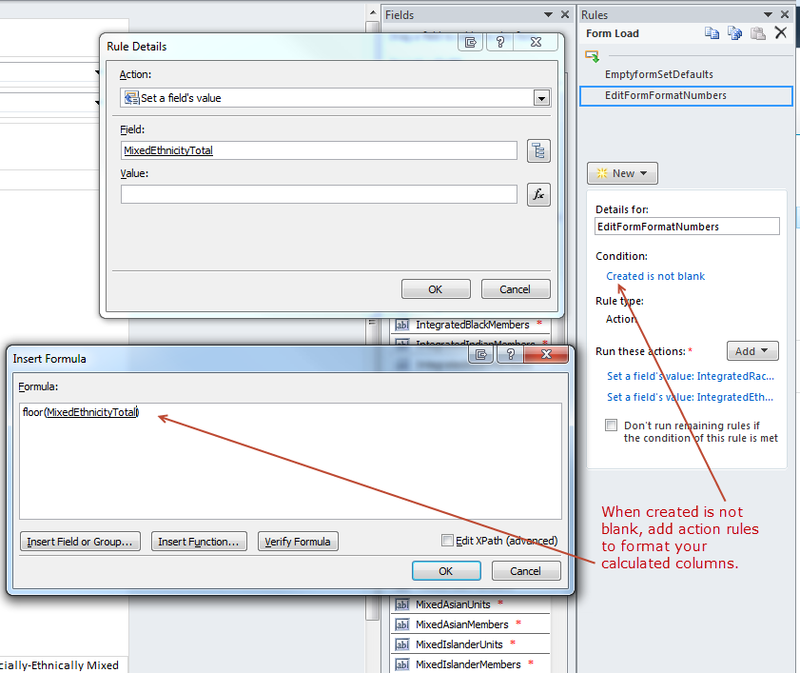 Don’t use calculated columns when you’re customizing a list with InfoPath forms. The benefit of doing this is that you can use text boxes set to read-only in the Infopath form and rules on another field or fields to run your calculations. 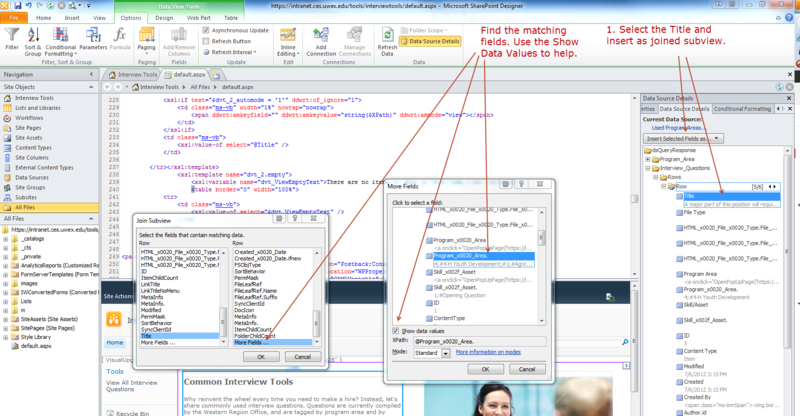 You get all the formatting control you want, and validation formatting will display correctly. 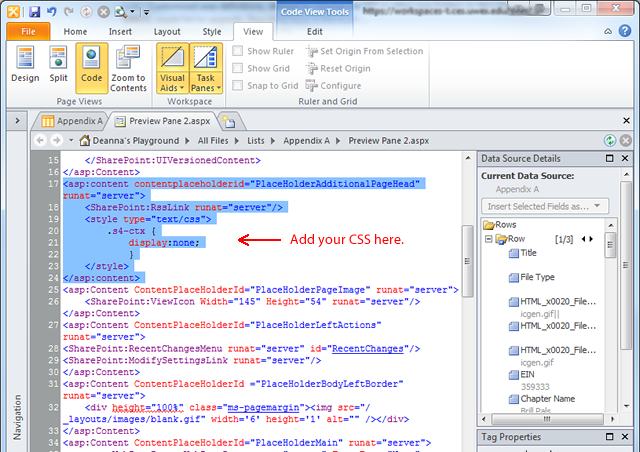 You will be storing a static value instead of having SharePoint run calculations behind the scenes. But, if you’re working with a content type and you’re not sure that every place it’s going to be utilized will be using InfoPath forms, you’re now relying on your users to do the calculations by hand, which is not ideal. And, you have to be very cautious with all your action rules in the InfoPath form to make sure you’re doing your calculations accurately. 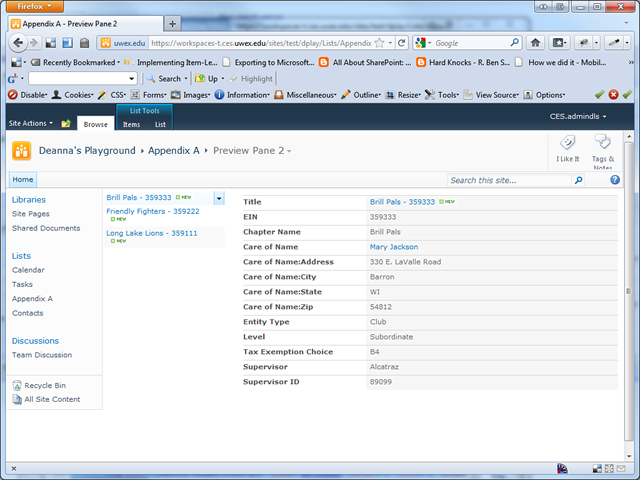 And, if a calculation changes, you’re updating an InfoPath form instead of a site or list column. Because I’m using content types and all these calculated columns are site columns, I chose to keep them as calculated columns. Use Form Load rules to format numbers on load. InfoPath doesn’t seem to have any problems with a new form. The issue only seems to arise with an edit or view form. So, you can add rules on form load that checks to see if “Created” is blank. It will always be blank when a new form is opened. When an edit form is opened, it will not be blank. 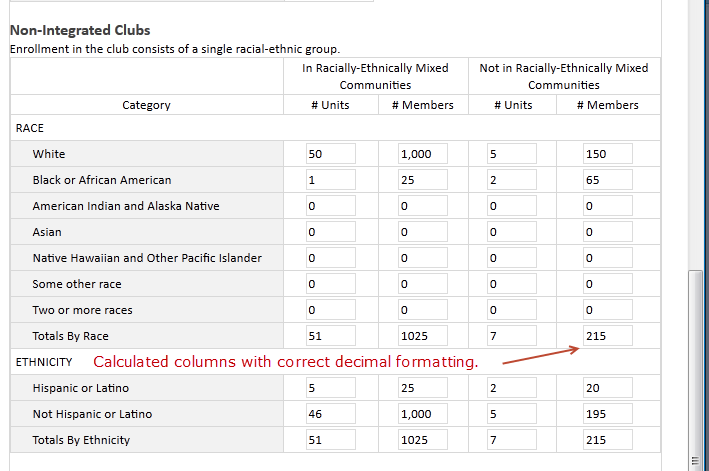 If it is not blank, format each of your calculated columns. The edit form now correctly displays whole numbers for my calculated columns. After adding form load rules, fields display correctly. There may be other gotchas I haven’t found yet. Have you found any? 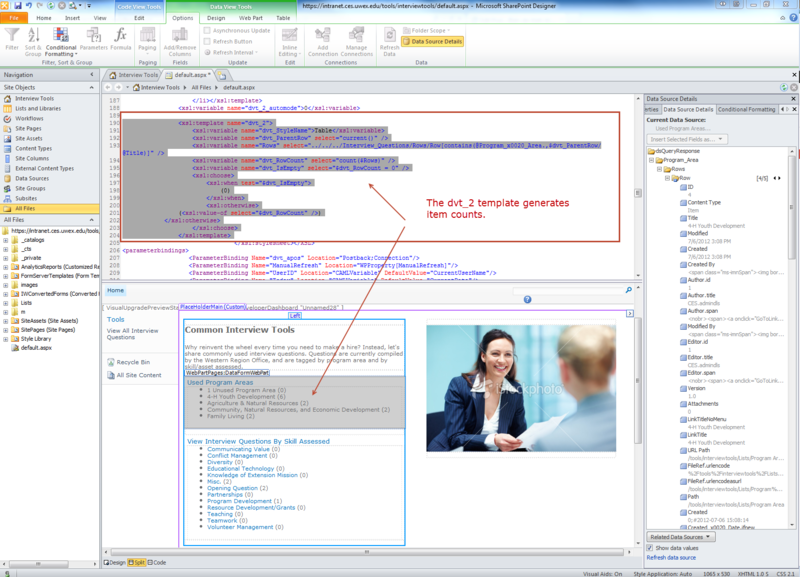 In SharePoint 2010, you can now do inner and left joins in CAML queries. But, if you can manage that via SharePoint Designer I’ve yet to figure out how. (I haven’t given up yet – anyone have any great ideas?) 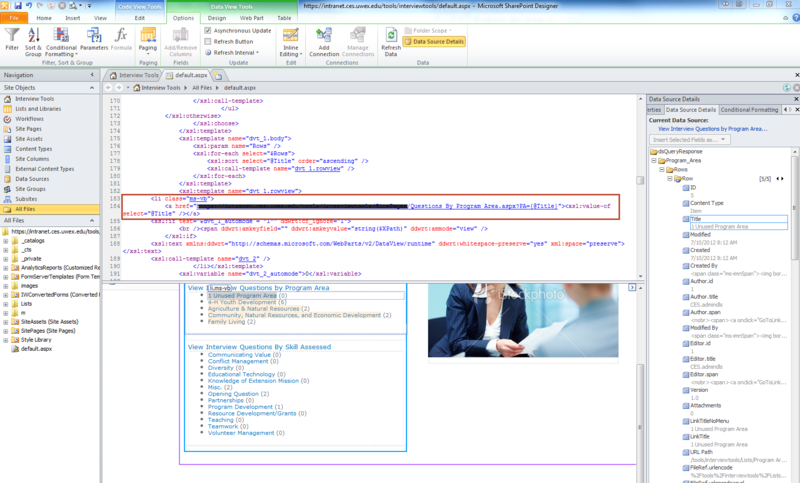 Instead, in SharePoint Designer all of our “joins” happen via XSLT. It’s not really a “join” at all. Marc Anderson explains all this really nicely. So, if we want to get a count of all the child items in a parent/child relationship, we need to modify the XSLT. The good news is that it’s actually really easy. 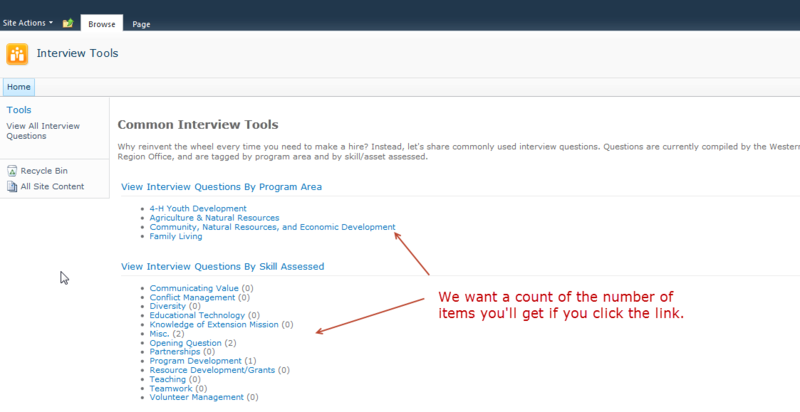 In my example, I have 3 lists – Interview Questions, Program Area, and Skills/Assets. The idea is that we have a list of questions that might be used, and a list of the skills or assets they assess and Program Areas they’re related to. One interview question can be relevant for multiple skills or program areas, so we have a look up columns in the Interview Questions table that allows multiple values from the Skills/Assets list or the Program Area list. Then, on a page in our site, we want to provide links for each skill and program area that goes to a page that filters the Interview Questions by that skill or program area. I’ve already done the skills. We’ll do the program area together. Now create a page. This can be a wiki page or a web part page, and it doesn’t really matter what it’s called. I did this right on my site’s home page. Now that we have a linked data source and a page, it’s time to use our data source in a Data View Web Part (DVWP) on our page. So, find your page and jump into edit mode. I always use split mode (code and design visible). 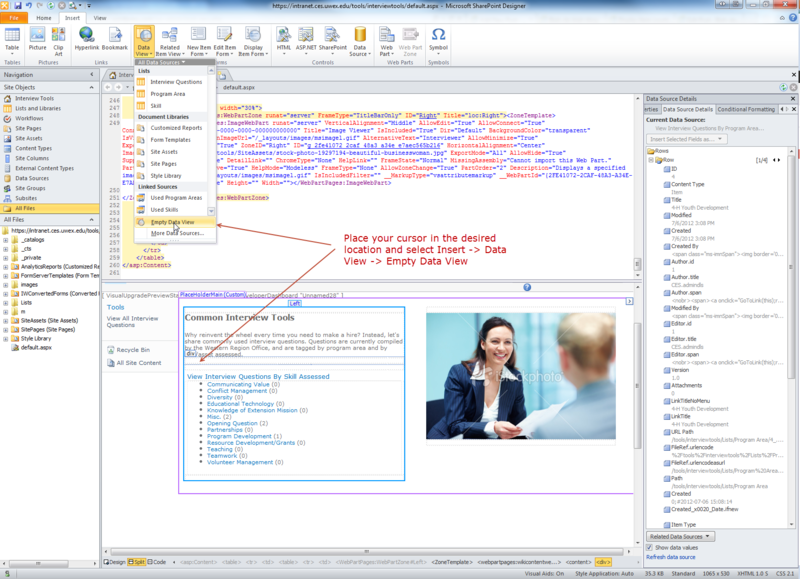 The first step is to insert an empty Data View Web Part. Place your cursor where you want the DVWP. Click Insert -> Data View -> Empty Dataview. 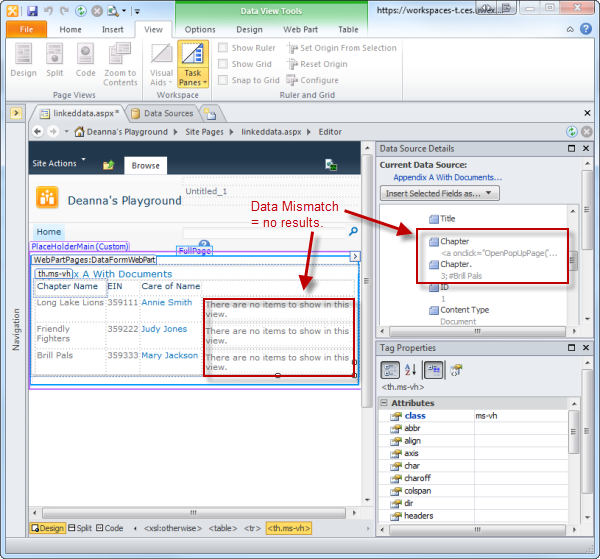 Click the link that says, “Click here to select a data source.” and select the linked data source we created earlier. Now we should see a table inserted after each item in our bulleted list, that displays either the matching rows or our “no match” text. But, wait – nothing matches! That’s okay. We can fix that. If we were using a single select look up, the best way to fix that is to follow these directions. But, since we’re using a multiple select look up, we need to modify the filter on the XSLT. The dvt_RowCount is a variable that SharePoint Designer sets based on the count of the rows returned from our modified select statement. I also added a link to each Program Area Title, which passes the title as a query string parameter to another page. 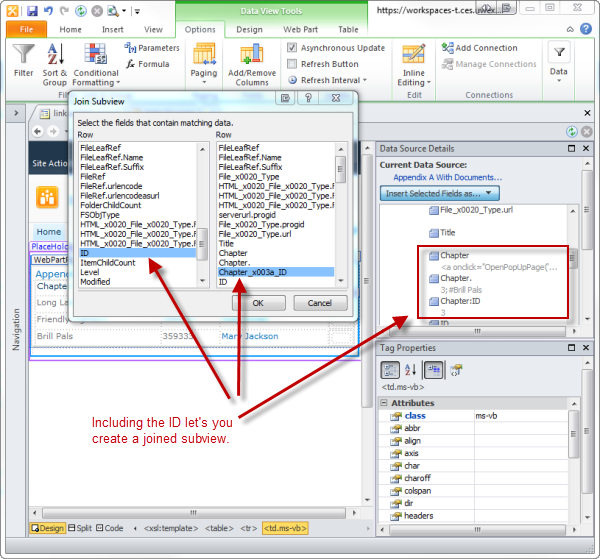 While this tutorial has a lot of steps, once you’ve done it once, you’ll see how easy it really is – 15 lines of XSLT to generate the item count of your joined subview! Hope that helps you out. And if any one figures out that CAML join syntax in SPD, let me know. I recently completed a project that involved joining a list (Appendix A) and a document library (Appendix A documents). 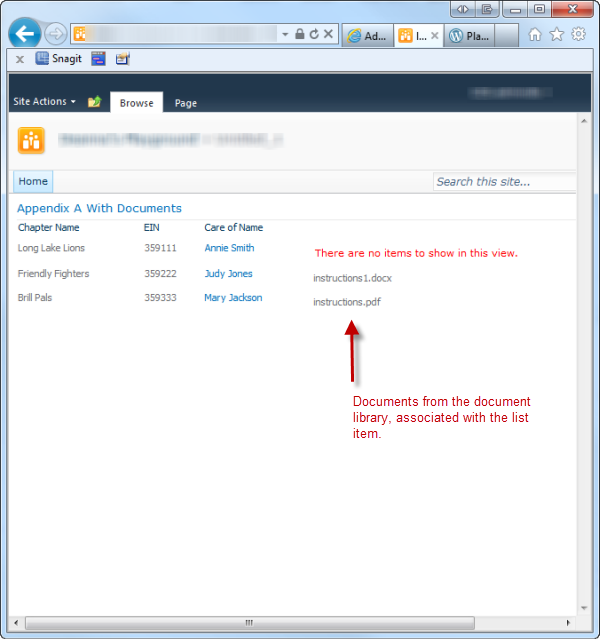 Each document, when added to the library, was associated with an item from the list. There were three document types and each item in Appendix A needed to have 3 matching documents in the library. The project administrators needed a quick way to scan for missing documents. The obvious solution was to put a data view web part on a page with a linked datasource and a joined subview (displaying all the documents associated with each list item). I figured it should be fairly easy, considering I already had a lookup column on the Appendix A Documents library, linking it to the list. The look up column adds extra information - so no match! The lookup column adds extra information – notable the ID of the item, followed by a semi-colon and a # sign. Now, if you want to be an XSLT ninja and do some string manipulation, you can get around this issue the hard way. 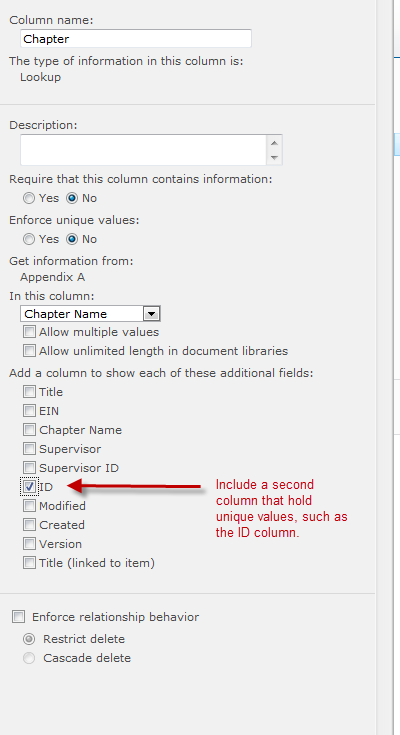 But, the easy way is to just go back to your original lookup column, and use the new SharePoint 2010 feature to “Add a column to show each of these additional fields.” Just make sure that whichever column you’re adding and joining is unique. I used the ID in this example, as that is always unique. 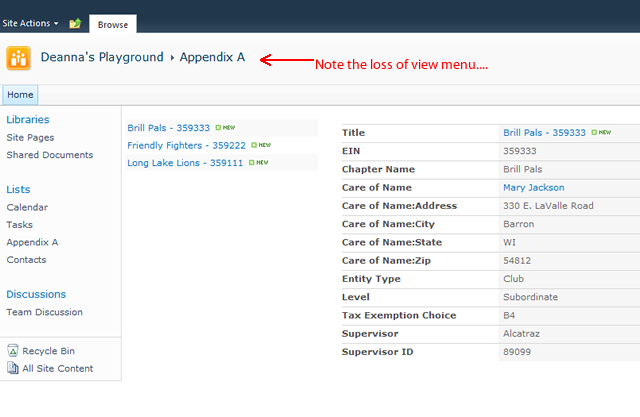 Now, go back to your joined subview and select your additional column. Voila! 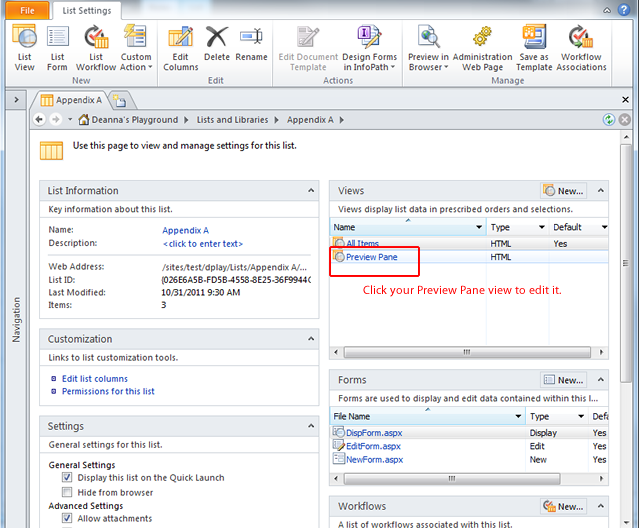 Out of the box, SharePoint 2010 offers several styles that can be selected when creating a view of a list or library. One really useful style is the Preview Pane. If you have a list with a lot of columns, the Preview Pane style is great for creating a vertical view of the data, avoiding the dreaded horizontal scroll. If you’re not familiar with the Preview Pane, Microsoft has a quick screen cast that shows how to use it. Not so great, right? If you Google around for a solution, you’ll find options such as using a workflow to update the title column with the data you want when an item is added or using a CAML editor tool. Hm…. No thanks. Now that you’re in edit mode for the Preview Pane style, do any of the typical tweaks you might do on any view – change the sort order, the paging, add or remove columns. Do everything you might want to do using the Ribbon options before we get to this next part. It makes life easier. 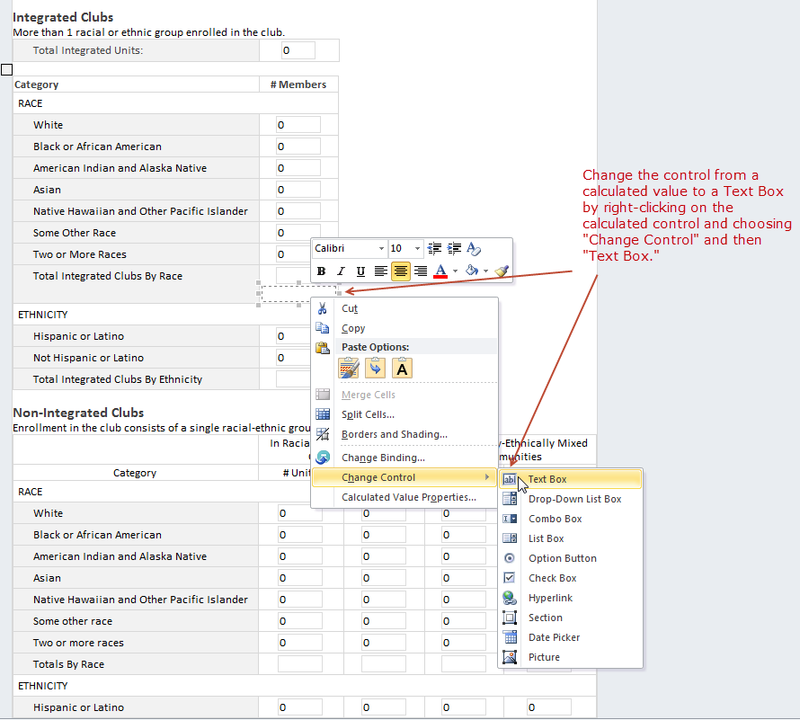 Highlight the words to replace and select "Edit Formula"
A pop-up window will open where you can select another column of data, enter static text, or use any number of formulas to generate the text you want to use. I concatenated two columns. If you have some rows of data with titles and some without, you’ll need to repeat this process for both types of columns. Save your file and test it. Looks great, right? You have now successfully replaced your title with your preferred information and it’s linked to the item. It also has an ECB menu attached to the item. Oops! Where'd our text go? Link to your text file from the content editor webpart. The View Menu disappears on view pages that have been edited. 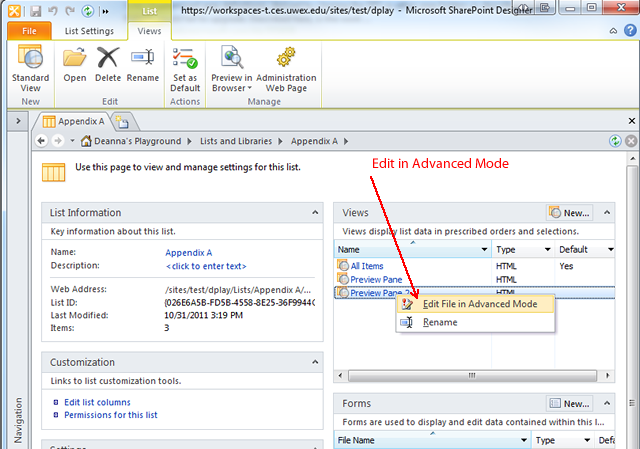 Note: If you do not have the Edit File in Advanced Mode option, it is because your site collection or farm administrator has restricted the use of SharePoint Designer in your environment. Save your file. 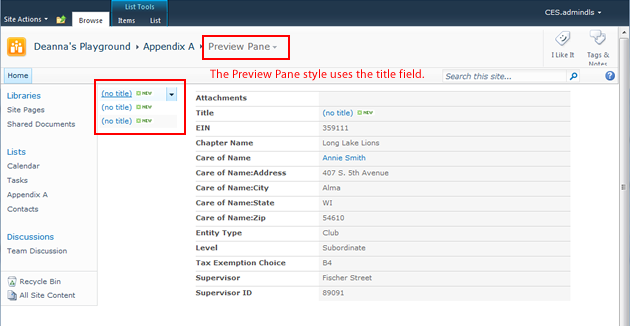 Voila – you now have customized title pane with no ECB menu and have retained the view selector breadcrumb. 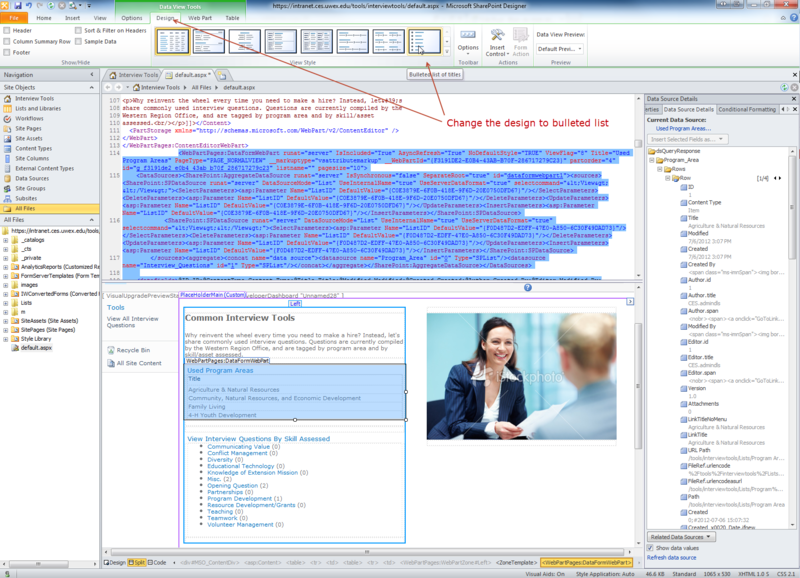 The other major advantage of using this method versus the Content Editor Webpart is that the CSS will render in the head of the page, where it belongs. However, if you do choose to use this approach, make sure you are tracking what pages you are customizing so that when it comes time to upgrade you’ll know which files need to be double-checked.